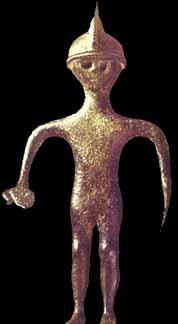 Warrior with Villanovan Helmet, 700 B.C. 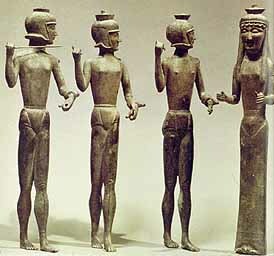 Statuettes from Brolio, 590 B.C. 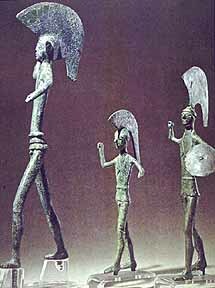 Statuettes of Spear-Throwers, 5th B.C.